This lot was purchased from A.T. Black by Mr. Jonathan N. McElwee for $110 in 1856. Acting on behalf of his father, J. Lewis McElwee went on to divide and sell the lot to various individuals. 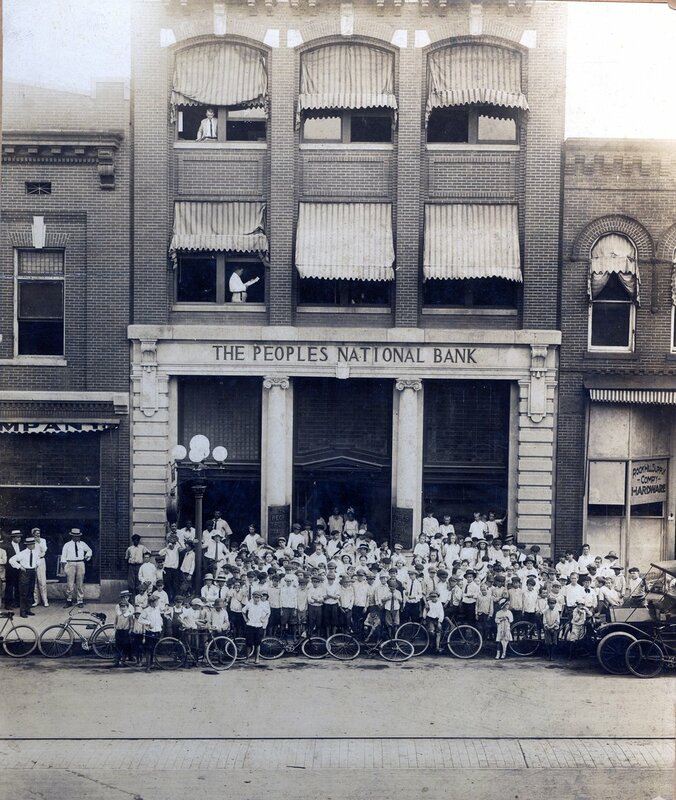 Promo image of the Herald delivery boys in front of the bank, ca. 1910.